Offering independent and enhanced living options, our employees believe in creating a family-like experience for each of our residents! We understand that it’s the little things in life that make a difference. This is why no matter what we do, large or small, we work to help our residents live to the fullest. We supply the materials, you and fellow residents provide the inspiration. Whether performing or enjoying, there’s always a melody in the music lounge. Banking has never been easier with our in-house credit union. Fully stocked with tools of the trade for any woodworking fabrication. Resident run, seniors buy and sell craft supplies in our Village Store. Designed for large events, anything is possible in our large banquet space. The in-house chapel provides Holy Communion, Sunday services, Bible study and more. House calls are a thing of the past with our on-site medical professionals. Independence Village of Frankenmuth is home to Harmony Hall, where the food is only surpassed by the exceptional service. Our team of culinary experts and wait staff take pride in providing above-and-beyond dining experiences. Share family recipes, meal requests and special orders with our Executive Chef. We’re always looking for new recipes to put on the menu for our residents to enjoy. Immerse yourself in our community activities or suggest your favorite hobby! We love going on excursions or enjoying an activity in our common areas. Our Life Enrichment Program comes from the inspiration of our residents. We’ve created a bustling daily events calendar for everyone to enjoy. Through this program, you’ll be sure to encounter the spiritual, social, intellectual, physical and emotional requirements in Frankenmuth. 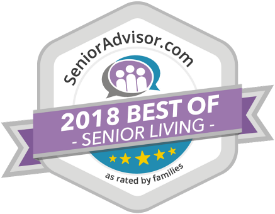 Independence Village of Frankenmuth has been selected as a “Caring Superstar of 2019” by Caring.com for excellent service as a senior living provider. Schedule a visit and see first-hand what sets us apart from other senior living communities.